The National Community Reinvestment Coalition (NCRC) has added a senior executive to its leadership team. Delimpaltadaki Janis, based in New York, will lead NCRC’s work to build an effective collaboration between the organization, capital markets entities and investors with the goal to increase delivery of capital to underserved businesses and communities. She was most recently vice president of Partnerships and Business Development at the New York City Economic Development Corporation, where she co-founded the city’s public-private partnerships and corporate attraction team, and earlier, built a portfolio of impact investing, social enterprise and talent development programs. She played an instrumental role in New York City’s bid for the Amazon HQ2 project. 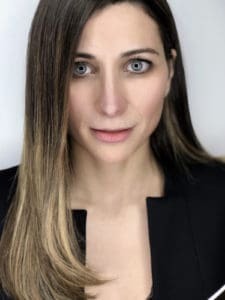 “Eleni is an experienced executive and determined social justice advocate, who brings to NCRC a long record of innovation and entrepreneurship in social impact organizations, government and business. Her most recent tenure in New York City government playing a leading role in major investments and workforce development programs in one of the world’s largest tech entrepreneurship ecosystems will be key to success of Capital Markets,” said John Taylor, President and Founder of NCRC. “It is an honor to join John Taylor and the NCRC team, and lead the new Capital Markets division. NCRC’s long-held presence in communities across the country and deep understanding of the financial system uniquely position it to offer a responsible and scalable solution that increases access to capital for underbanked businesses and communities. In joining our respective capacity and vision, I am confident that we will bring together capital markets, technology and political will to catalyze economic growth and equity,” Delimpaltadaki Janis said.